Many of you work for a church, either full time or part-time. And those who don’t work for a church, probably serve a key role (be it volunteer or bi-vocational). I’ll never forget the first time I received a paycheck from a church. It was the first time I had that paralyzing reality that Sunday is always coming (not to mention the number of unnecessary meetings). I sacrificed margin to get things done, and I fought like crazy for rhythm. Early on, my passion for perfection resulted in a hustle mentality that prevented margin for authentic ministry. My passion for perfection resulted in a hustle mentality that prevented margin for authentic ministry. Why is margin and rhythm so important in ministry? I believe margin allows for personal and corporate critique of ideas. Critique paves the way to progress, and progress leads to transformation. And at the end of the day, isn’t that ultimately why we’re in ministry? To help point people to the transforming power of Jesus Christ? Over the year’s I’ve been blessed to work with a multitude of ministries who seem to have an unusual amount of margin and are killing it in terms of effectiveness for the kingdom. I believe the reason behind these ministries is this… They have found rhythm in the three phases of ministry. We all start here, whether it’s new to a job or trying a new program concept. It’s the phase where you’re finding your way, starting something new, and just hoping that something sticks. I call it the survive phase, because we’re willing to do almost anything and everything to just get through the week. It’s in this phase where deadlines are constantly missed, and the demands of churning out “products” takes center stage. For me, it was the number of people who requested another video to promote their next “big” event for the 10 people who would show up (maybe that was the first sign I wasn’t a good video editor, oh well). So I cut corners, I had virtually no margin, and yet my passion was the adrenaline rush that got me through the crazy schedule I set. Related Posts: Perseverance Always Wins. And honestly, in this season, it’s exactly what we need to be saying. Regardless, it’s a dangerous place to camp out because our potential is untapped, family time is sacrificed, margin doesn’t exists and overtime we will begin to self-diminish the effectiveness of our God-given talents. Once we’ve realized that we can get through the week, knowing that if we miss something small, the ministry isn’t going to crumble beneath us. Bills are going to be paid. Videos not being made for every ministry won’t cause that ministry to die, and it’s not entirely up to us, We begin to give ourselves a little bit of pressure release on our own expectations. 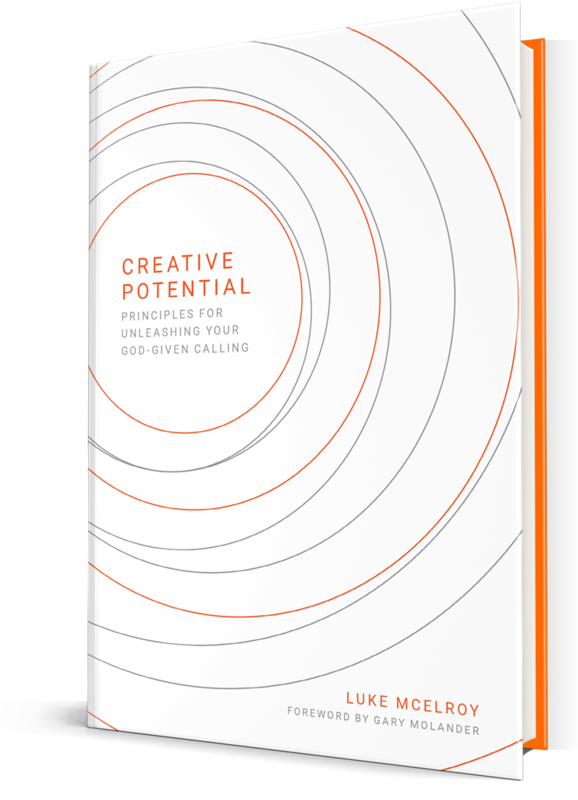 It’s when we realize that God really has come through in our “showing up” that He’s going to take care of this regardless (1 Thess 5:42), that we start to see the potential that’s been untapped in our God-calling. Refinement prevents settling, and falling into the trap that just because it worked once it should always work. It’s kind of like the ice trade industry. You know, those guys who go door to door trying to sell massive blocks of ice? Exactly, they don’t exist anymore. But you’d probably find it interesting that in the peak of the 1800’s, they had 90,000 people to sell ice across the United States and it was the equivalent of a nearly billion dollar industry in today’s economy. Wow! But Ice Trade doesn’t exist because someone realized that we can build these little things called Ice Makers and Air Conditioners. Refinement lead to innovation, and in ministry we have to constantly strive for seasons of refinement or we’ll never reach the next generation. After we’ve accomplished margin and had the space to refine our ideas, then we get to the place every ministry and minister desires to be; thriving! This is where we have healthy processes, a growing volunteer team, clear vision and a steady work-life balance where we can minister to our communities and it not be at the cost of our families. I’ll never forget what Andy Stanley committed to in the early days of starting North Point. He was only going to allow North Point to be as successful as it could be with him only working 50 hours per week. He put the priority in margin. Of course that’s simply not possible right now for some of you… but in order to enter the thriving season we have to learn to let go so the ministry (and ultimately ourselves) can grow. It’s in this phase where the effectiveness of the ministry is less dependent on you and more dependent on the healthiness of the body. In order to enter the thriving season, we have to learn to let go so the ministry (and ultimately ourselves) can grow. But there’s one thing I should say about this stage. It doesn’t last forever, for anyone. Because in this stage complacency is inviting you to enter back into a surviving stage. We must keep a constant pulse on new team members who are entering through the phase of survival, and constantly push our teams in thrive seasons to walk back into the rooms of refinement on a continual basis. Where have you see some of these phases at work? and how do you overcome some of the challenges that encompass each of them?